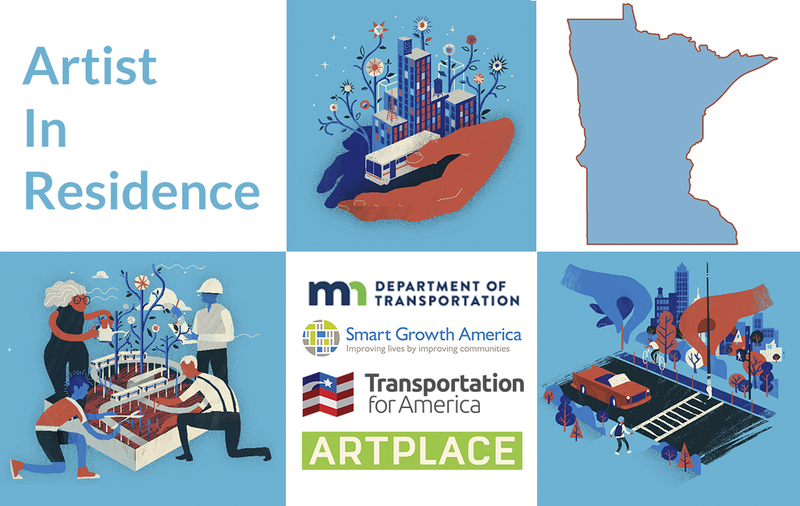 Smart Growth America’s arts & culture team works in close collaboration with SGA’s programs, with a special emphasis on supporting the integration of art and culture in transportation projects through Transportation for America. At SGA, we believe that everyone in America—no matter their age, ability, income, or race—deserves the option to live somewhere affordable, convenient, beautiful, and safe. And America’s towns and cities deserve investment, stewardship, and supportive, thriving communities. We believe that art and culture play a crucial role in supporting this vision by providing an organizing force for residents, business owners, and other stakeholders to work towards strengthening neighborhoods, by revealing the authentic character of communities, and by connecting citizens with decision makers to collectively pursue smart, equitable policies and projects. Our arts & culture work is generously supported by the Kresge Foundation, ArtPlace America, and the National Endowment for the Arts. 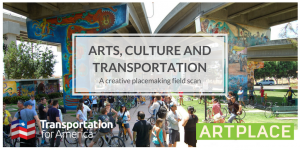 Read Arts, Culture and Transportation: A Creative Placemaking Field Scan, our rigorous national examination of creative placemaking in the transportation planning process. 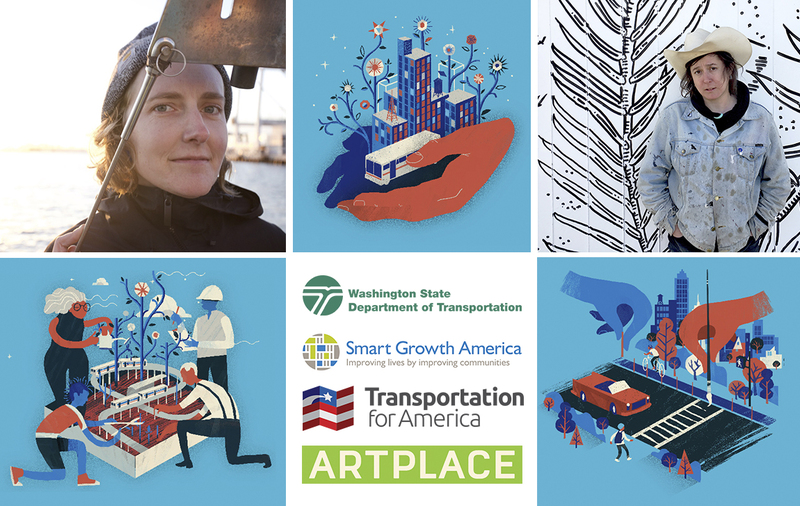 Commissioned by Smart Growth America, view this artist's seven beautiful animations that illuminate the power of creative placemaking. 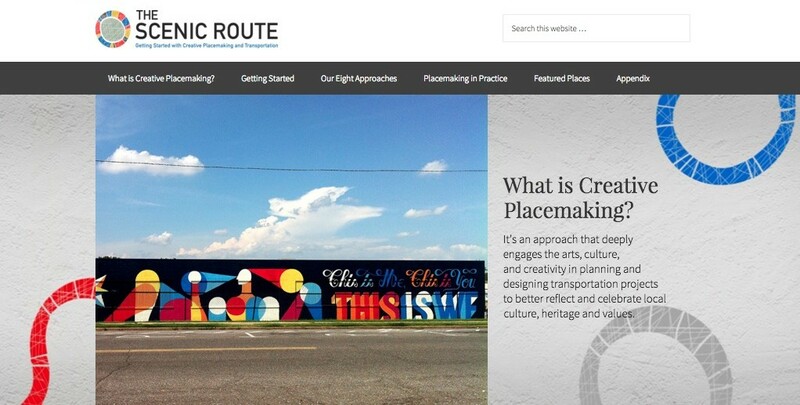 Want more ways to integrate arts & culture in your community?